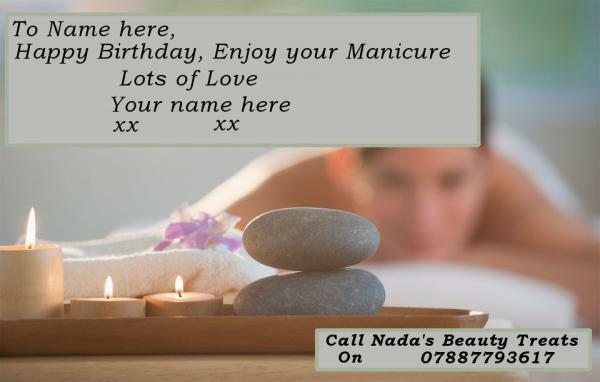 Personalised gift vouchers are available all year round at Nada's Beauty Treats and are a fantastic way to give your loved ones some special me time. Or maybe you are looking for a last minute gift? 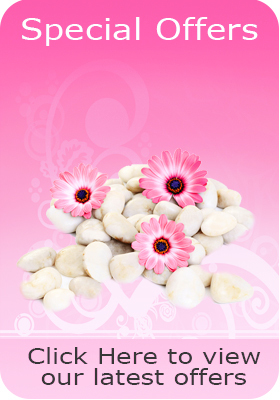 Who wouldn't like to receive a fabulous gift of a luxury massage or a relaxing facial? Simply tell us how much you wish to spend or the treatments you wish to purchase, then give us the personal message that you would like to include and we will do the rest. We can either tailor-make a gift voucher package to suit your required budget or You can purchase a general gift voucher for a specific amount and the recipient will choose treatments to that value. Our gift vouchers have a 6 month expiry date.